Polystyrene bee hives have been utilized in some of the coldest countries in Northern Europe and Scandinavia for several decades, with countries like Sweden and Finland pioneering their use, compared to cold damp wooden beehives that are more commonly used in the west. So why are these polystyrene beehives so popular? Polystyrene Beehive Benefits over Traditional Wooden Beehives. Before we go into some Polystyrene Beehives for sale, let’s firstly discuss the benefits of using a Polystyrene beehive, over a conventional wooden hive. Colonies within Polystyrene beehives tend to build-up around 3 weeks earlier than colonies raised in wooden beehives, and thus will begin flying sooner and be able to take advantage of nectar flow and a higher overall honey yield. Some have reported that Polystyrene hives have been able to produce 25% more honey in comparison to a wooden hive; Although there are many variables involved, an increase is almost certain. Polystyrene beehives provide a significant advantage over wooden beehives for breeding and new colony production. This is because, the earlier a colony can build up, the sooner it can be split to raise new queen bees. The amount of insulation provided by Polystyrene far outweighs a conventional wooden beehive keeping the bees warm throughout the winter months, so the colony doesn’t need to consume as much honey for survival, whilst shielding the colony from heat during the summer months. Because of this, it makes for more consistent overall temperatures. Also, it means that during the winter months there are no cold outside frames, making fantastic conditions for the queen to lay brood across all of these frames, potentially being able to produce more nucs per hive. Unlike wooden beehives, Polystyrene beehives do not get damp and thus the insulation of the material is not compromised. Unlike wooden beehives, polystyrene beehives require minimal preservation and do not suffer from rot or woodworm. This means conventional treatments which can have detrimental effects on the health of the bees do not have to be used. Made of light-weight polystyrene, the CoolMax BeeHive Kit provides superior insulation compared to a traditional wooden beehive and great ventilation to guard against extreme temperature changes. This polystyrene beehive comes unassembled but includes easy assembly instructions and everything (except the bees!) 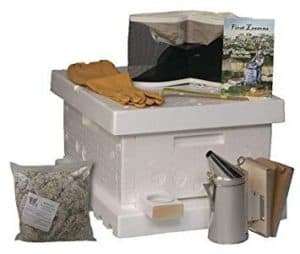 that you’ll need to get started, including a hive body, bottom board, frames, foundation, covers, gloves, a bee veil for bee sting protection, a book on beginning beekeeping, a bee smoker and other accessories! It is recommended that the hive is painted with latex paint to help preserve it. However, do not paint the hive if you are going to ask for a refund. 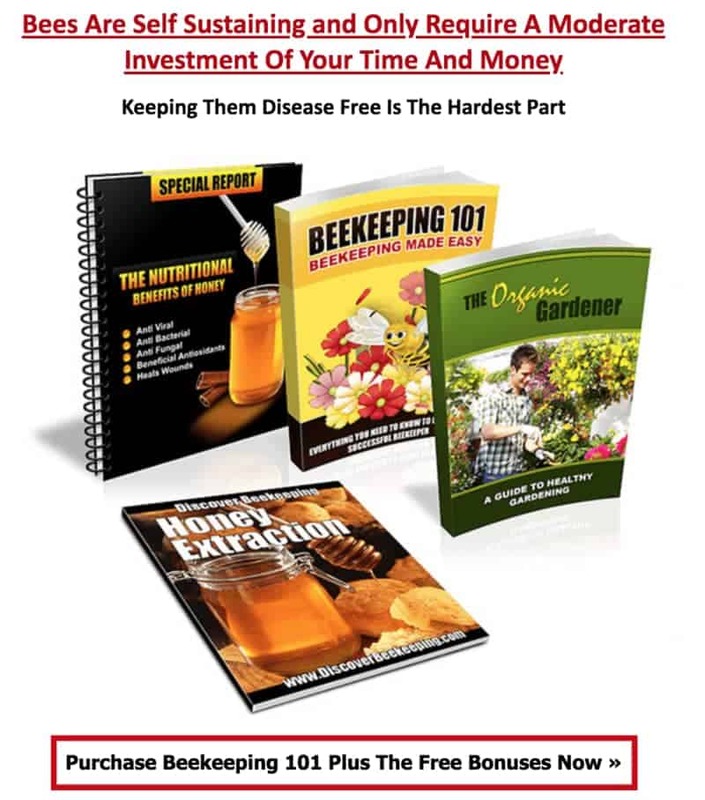 This hive includes a full money back guarantee, simply contact the vendor to arrange a refund.